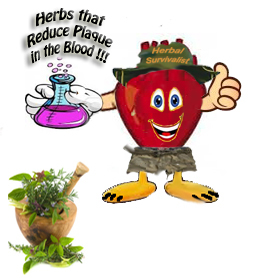 There are a few good herbs and spices that reduce and break up plaque in the blood. Blood carries oxygen to tour organs and tissues and especially to your Central Nervous system particularly your Brain. they also can decrease lipoprotein (LDL) cholesterol levels and also increase high density lipoprotein (HDL) as a result Natural Solutions carefully applied to oneself could eliminate the need for surgery or medical prescriptions. Alway consult your physician before trying these methods. abruptly canceling one treatment to begin another can be more damaging then help. this is great for increasing the supply of blood and enhancing circulation. It is also know for opening up the Coronary arteries. Ginger: Ginger is a natural blood thinner and removes plaque from the arteries. Garlic: THis is Great for increasing your HDL) levels to gain full maximum potential Adults should take 2000 mg daily split up through the course of the day. 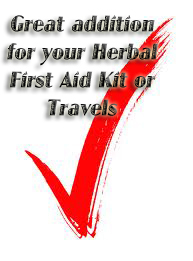 Turmeric: is good for removing plaque while increasing blood circulation. Green Tea: a natural antioxidant and also aids in preventing blood vessels from constricting. Basil: Good for removing plaque from the arteries and includes psyllium; a powerful in removing plaque from your arteries by consuming 5-10 grams daily.